The signature perpetual with a new dial and larger case. Inventively built for a minimalist but exceptionally legible calendar display, the H. Moser & Cie. perpetual calendar is synonymous with the brand. It’s been offered in a variety of guises to date, but the new Endeavour Perpetual Calendar Purity is arguably the most significant facelift. The dial is even more minimalist than before – but not quite as bare as the Concept perpetual calendar – while the stark white baton hour markers at each quarter are reminiscent of the Swiss cheese wristwatch Moser unveiled earlier this year. 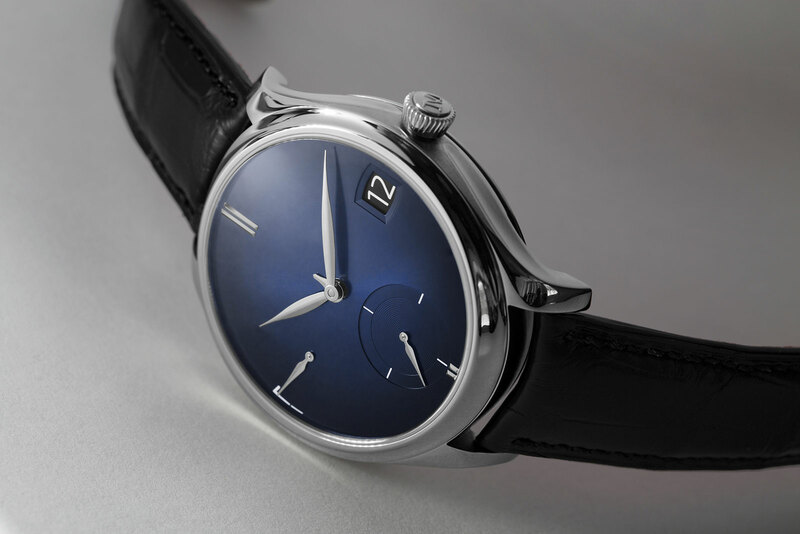 It’s a dark blue with a fumé finish, with the colour darkening towards the edge, an effect Moser uses frequently on its watch dials. But more significantly the case has been made larger, now measuring 42mm in diameter, compared to 40.8mm before. It’s in 18k white gold and though bigger than before, the case still retains the signature design flourishes that can only be appreciated in profile: concave flanks on the lugs, a sloping bezel and curved case back. 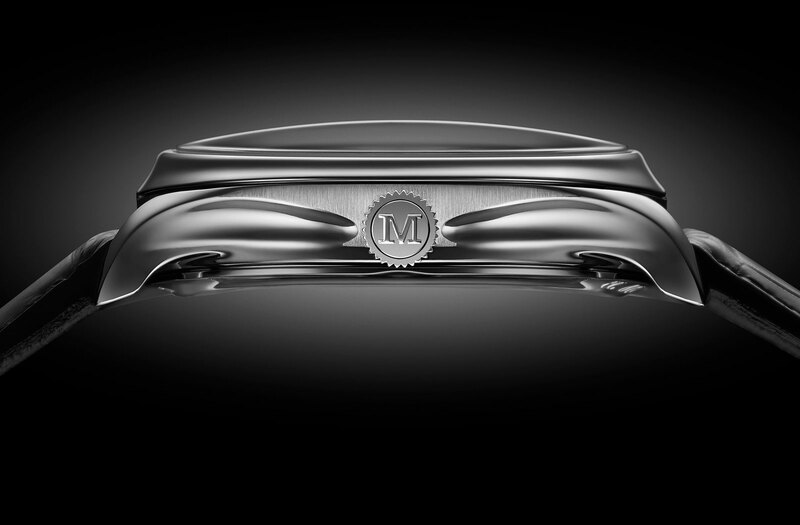 The movement inside remains the HMC 700, a hand-wound calibre with a seven-day power reserve. Besides the perpetual calendar that can be conveniently set forwards and backwards at any time, the HMC 700 also features a pallet fork and escape wheel made from hardened 18k gold, as well as an interchangeable escapement that can be swiftly swapped during servicing. 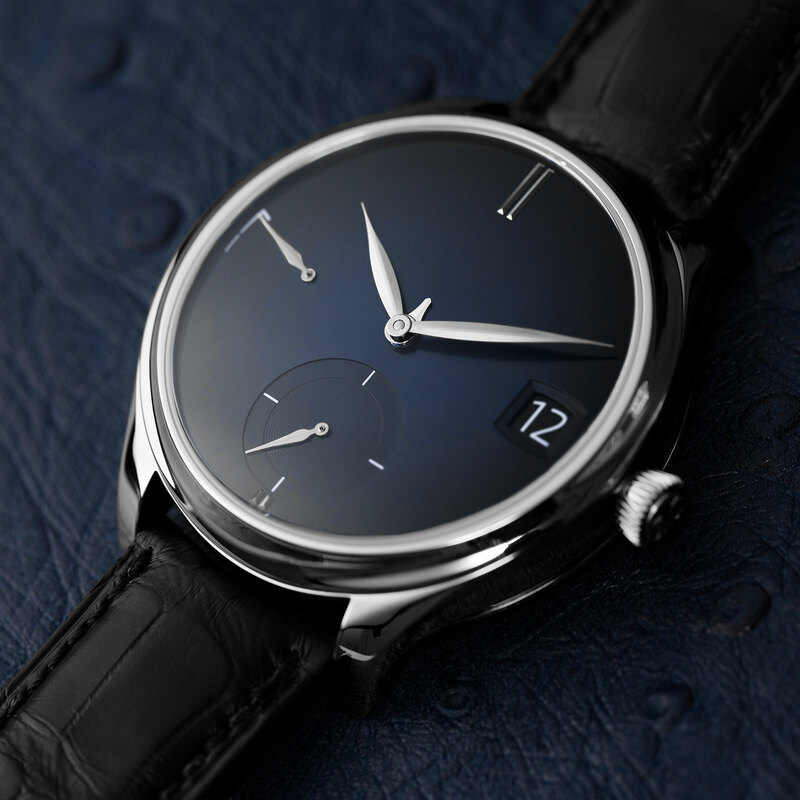 The Endeavour Perpetual Calendar Purity (ref. 1800-0200) is a limited edition of 50 pieces, priced at US$60,000. It’s now available from Moser retailers.